Earlier this month, SpaceX said they were ready to move into mass production with its Falcon 9 rocket. Yeah, no kidding. This photo, posted on SpaceX’s Instagram, shows five first stage rockets in the works at the company’s headquarters in Hawthorne, California. Previous reports have said NASA is hungry for reusable rockets, and SpaceX says that in the near future, it could be running a mission every two to three weeks. Woah! 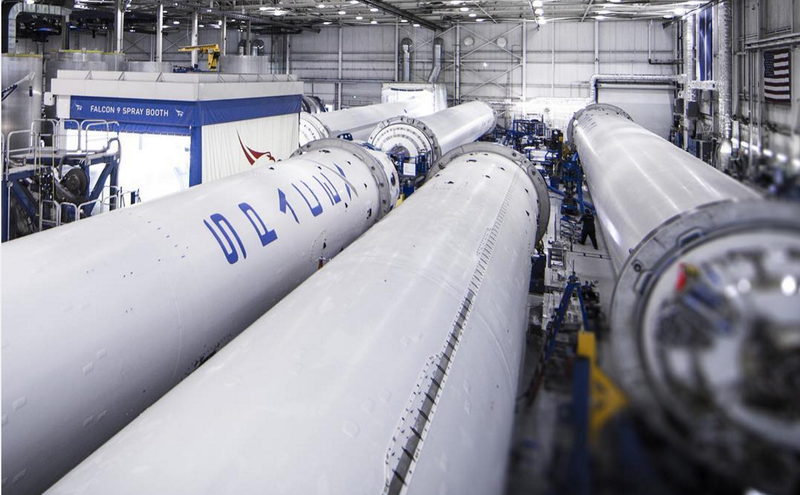 SpaceX’s COO commented earlier this month the factory has been morphing to keep up with demand, going from 6 to 8 cores a year, to 30 cores by year’s end. So yeah, increased production to say the least. The commercial space industry has arrived.